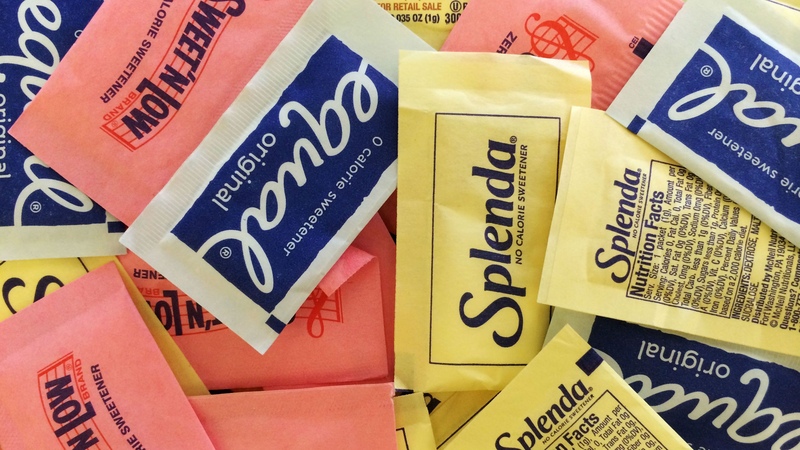 We see them in almost every restaurant: those small pink, blue, and yellow paper packets labeled Sweet‘n Low, Equal, and Splenda. Over the years, artificial sweeteners have become a popular choice for people who want to taste sweetness without the increased risk of obesity, diabetes, and heart disease attributed to refined sugar. But a new research study from the Medical College of Wisconsin (https://www.sciencedaily.com/releases/2018/04/180423085440.htm) suggests that artificial sweeteners (which, incidentally, are FDA approved) aren’t the healthy alternative they’re marketed to be. The study, referred to as “the largest examination to date that tracks biochemical changes in the body […] after consumption of sugar or sugar substitutes,” found that artificial sweeteners come with the same increased risk of obesity, diabetes, and heart disease as refined sugar. While the question of “which is worse, refined sugar or artificial sweeteners?” warrants a long-term study, the results from the short-term study are convincing enough to have you think twice about tearing open that next packet of artificial sweetener. As a firm believer that the more a food item is processed, the less healthy it becomes, I strongly recommend using the real thing and avoiding artificial sweeteners. And if you have a medical condition, such as diabetes, that necessitates the avoidance of the sugar, I suggest choosing the natural no-sugar sweetener stevia. It is derived from plants and contains no artificial ingredients, as long as you choose your brand wisely and select one with no fillers. When purchasing any food products off the shelf, always remember to read labels and check the ingredient list. The shorter the list, the better. And if you come across an ingredient you cannot pronounce, I highly suggest not putting it into your body! !